An unmanned surface vessel (USV) has been launched alongside the revolutionary at-sea garbage-collection system deployed by nonprofit group The Ocean Cleanup to rid the seas of ocean plastic. 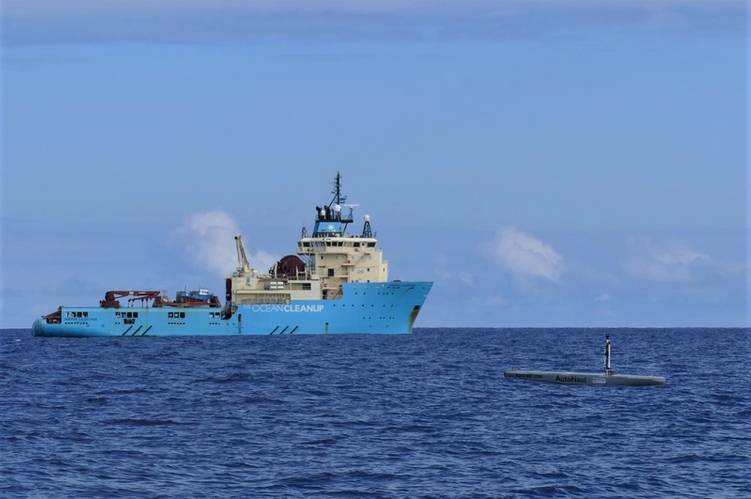 The Ocean Cleanup System 001, also known as “Wilson”, is undergoing extensive sea trials approximately 350 nautical miles from San Francisco, to test the behavior of the system. If all goes well, it will relocate to the “Great Pacific Garbage Patch” (GPGP) where it will begin the challenge of removing tons of plastic debris. The USV, manufactured by U.K. based AutoNaut, is accompanying Wilson in order to conduct long-term monitoring of the surrounding environmental conditions and provide information on the system itself. The small autonomous craft is overseen remotely by an operator at sea and a small team based on the south coast of England. 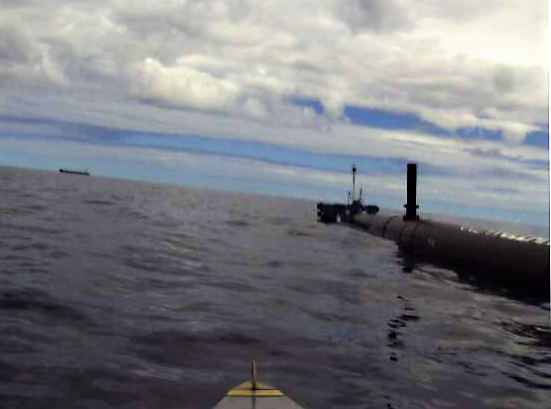 Cameras on the AutoNaut vehicle’s mast and hull provide a live-feed view of Wilson both from above and below the sea surface. Onboard sensors provide a scientific understanding of the environment by measuring the sea surface waves, oceanic currents, water quality and weather conditions.